It's really convenient to put Crystal Vision products into a universal control system to help you simplify the way you work. We offer two different protocols for third party control. Our ASCII protocol is designed to make it easy to control our equipment from an automation system, while our JSON protocol simplifies interfacing our control with web-based technology. We also offer SNMP for big system control and monitoring. ASCII allows straightforward control from external control systems with limited programmability, such as automation systems and button boxes. 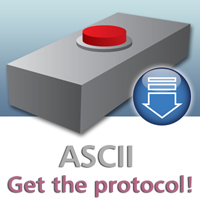 Crystal Vision's own ASCII control protocol is designed to be easy to implement - offering a short, simple message structure with no handshaking or error recovery. It provides a method to get and set the value of controls on boards within a frame, using the product XML files (available for download below) to provide information on the controls for each board. The ASCII protocol was last updated on 8th May 2017. To download the ASCII protocol you will need your Registered Area username and password. HTTP/JSON is a standard protocol and is aimed at those who want to implement their own web-based control. JSON is actually the 'dialect' used in Crystal Vision's VisionWeb Control, but other software developers will find it easy to use JSON as an interface to interrogate and control our products by extracting the required data from the product XML files (available for download below). The JSON protocol was last updated on 8th May 2017. 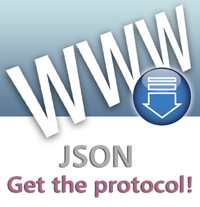 To download the JSON protocol you will need your Registered Area username and password. If you are implementing a control system using our ASCII or JSON protocols, you can use our product XML files to provide detailed information on the controls available for each board. Using an appropriate editor it is easy to extract exactly the information you need. The product XML files are also used to create VisionWeb 'virtual cards' - a collection of controls from a number of boards in the same frame that appear as a single extra board, and useful for limiting user interaction, simplifying operation or assembling features for specific control purposes. The virtual card creation process involves direct editing of XML files from the source products; the resulting virtual card is then put into the frame front panel via FTP. All of Crystal Vision's product XML files are available together in one zip file. 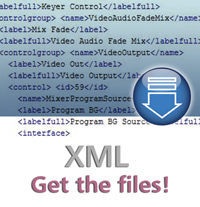 Our guide clarifies which XML files are used for which products. The product XML files were last updated on 19th December 2017. Recently-released XML files include updated files for the Safire 3, Safire 3 Xpress and LKEY 3 keyers. Included within the zip is CrystalVision.xsd - which outlines and defines the various elements for protocol control, such as giving the max and min values that can be set. 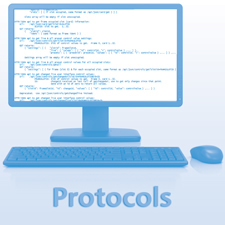 It is designed to help those using the ASCII and JSON protocols as well as SNMP. To download the product XML files you will need your Registered Area username and password. XML files are fundamental to modern control of Crystal Vision products, and VisionWeb and VisionPanel both use XML files stored in the frame front panel to provide a board's control interface. If you want to get the latest product XML files into your current frame for use by VisionWeb or VisionPanel, you will need to update the full frame software - contact our support team to request the latest software for your frame.